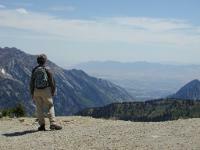 Is Solo Hiking for You? Take a look at the two images. Which looks more appealing to you? an empty trail ahead or a few people with you? We humans are social animals. We normally prefer others around us and enjoy sharing experiences with others. In some situations, some of us like to experience the world alone. If the empty, open trail beckons to you, then solo hiking might be what you're looking for. Deciding to solo hike or not is completely your decision. Whether you go out alone, with a couple friends, or with a large group there are potential consequences with which you need to be prepared to deal. 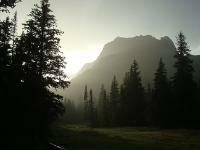 Check out recent Lost Hikers and Deaths. Spiritual Health - Solitude allows time for self-examination, relaxation away from the rat race for awhile, and a chance to meditate, contemplate, or just zone out for miles at a time. Outdoor Skills - When part of a group, it is easy to rely on the skills of others to find your way, cook your food, keep you safe, and make all the tough decisions. Solo hiking relies on your own skills and knowledge. Ensuring you have the skills before going solo is key. Own Pace - A group can only move as fast as its slowest member. That means everyone is either going faster or slower than they would like to be. 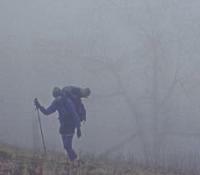 A solo hiker moves as fast as he desires and can alter his pace whenever he wants. Flexibility - Changes to your pace, camping location, route, rest breaks, and everything else having to do with the hike can be made as you want. There's no group buy-in required so you can hike your own hike. When significantly altering your route, it's important to inform someone of your new plans, just in case you need to be found. Challenge - Push yourself to hike faster, farther, or longer hours than you're used to. Build up to more difficult trails, uncomfortable weather, and rough environments. Meet your Fears - Many of us have fears that have little basis. Whether you're afraid of wild animals, heights, darkness, storms, being alone, or whatever, a solo hike can help you overcome those fears. Meet Nature - Hiking with a group, especially youth, there is not much hope of seeing any real wildlife. The noise, smell, and general invasion will drive most everything away. Just a short hike alone in the early morning will allow you to see many kinds of animals - a longer solo hike gives you even more opportunity. Any bit of nature that interests you can be observed. The group won't let you sit and watch flowers, butterflies, waterfalls, clouds, animal tracks, or falling leaves for long. Out on your own, you can spend your hours however you like. Responsibility - The solo hiker can say "I did it myself" when finished. Responsibility for the success of the adventure is completely his, as is the pride of completion. Along the way, responsibility for minimizing impact, caring for the trail, staying safe, and being self-sufficient is also his alone. Loneliness - The mental drain of isolation is a huge drawback to solo hiking. Long distance trail hikers fail to finish because of injury, poor planning, but most often because of loneliness - the days with no one to talk with become long and boring. Honestly assessing how this will affect you and how you'll deal with it is a crucial planning step. Will an electronic music player or book reader keep you sane? Do you enjoy being alone for days at a time already? This is different than living in an apartment alone. On the trail, there's no city noise, background traffic, or other white noise that lets you know you're in civilization. Heavy Heart - With someone else around, they can encourage and support you when you're feeling down, tired, or grumpy. When it's just you, a bad case of the blues might be enough to send you off the trail and back home. This is the bane of thru-hikers. Heavy Load - No one will be around to carry part of the gear. It's all on your shoulders. But, since there's only one person, there should be very little extra gear. Your shelter, kitchen, water treatment, first aid kit, and navigation items could be split among multiple people, but the rest increases directly as the group size grows. Global Positioning Systems (GPS) are handy and efficient, but a map and compass should always be ready as a backup. Even with good navigation skills, nature can turn you around with wind, blizzards, fog, overgrown paths, and snow cover. Still the best thing to do when lost is S T O P - Stop Think Observe Plan. Whatever you do, don't expect your cellphone to save you. Humans - Human attacks are a potential problem, especially for solo female hikers. The closer to populated areas you hike, the more probable you'll encounter a weirdo. Be friendly but not outgoing to people you meet. Give an impression that your hiking partner should be along soon. Pepper spray might be something to take with you if you are concerned with strangers. Animals - Animals may attack you in order to protect themselves, their young, or their food. Keep your eyes and ears open. Large animal attacks, such as bear, cougar, or wolf are extremely rare. If you hike in their habitat, take some time to educate yourself on their behavior and how you should handle yourself. Hear are a couple starter pages about bears, cougars, wolves. Eating your meal on the trail a mile before you set up camp and then storing your smellable items securely solves most problems. You will more likely be bothered by insects, rodents, or an occasional snake. Insects bite, sting, and bother enough to make a hike completely miserable. Timing a hike to evade dusk and dawn, wearing appropriate clothing or netting, and using insect repellent will take care of most insects. Being careful not to disturb nests or hives is also a good idea. You might come across a snake sunning in the trail. Keep your eyes and ears open. If you encounter one, give it a wide berth and wait for it to slither off the trail. If you get bit, use your first aid skills to treat the bite and get to medical help. Most probably, you will have problems with mice, chipmunks, or raccoons seeking out your food. They can quickly chew through your pack and cause a real mess. Store your food and pack securely to prevent this problem. Natural Events - Wind, rain, snow, lightning, sun, flood, earthquake, falling rocks, falling trees, wildfire - a long list of natural events that can be annoyances or catastrophies. Knowing how to read the weather is an important skill. Having proper gear to protect from adverse weather makes sense. Make camp in safe areas - not on high places, open places, close to cliffs, under large limbs, or close to creeks. There is little you can do about some natural events, such as earthquake, tsunami, or wildfire, but you can do some disaster preparedness. Injuries - No matter how well you prepare nor how careful you are, an injury is always a real possibility in the wild. 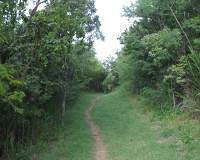 As long as you hike steadily on a well-groomed trail, the risk is minimal. But, rough terrain, water crossings, rock scrambling, cooking, and other risy tasks can result in stumbles and falls, burns, and cuts. Of course, an adequate first aid kit is an essential part of any hiking pack but the knowledge on how to use it and how to improvise other aid is even more essential. Before going solo, Wilderness First Aid training should be completed. You'll be the only one around so you'll need to know what to do and how to do it. Be realistic about your skills, pain threshold, endurance, and what you enjoy. If group hiking is more fun, stick with that. Think of yourself as a person that you are with - you are not alone, you are with yourself! You can share the nature you see, hear, taste, and feel with yourself. You will have the memories of your experiences forever and you can recall them any time. Make your hike FUN and SPECIAL - take a chunk of chocolate for a break at 5 miles, or plan on an ice cream sundae when you make it to the next town. Know the area where you will hike - research weather patterns, trails, bailout points, wildlife range, elevations, water sources, private properties. Stay on the Trail - cross-country travel can be exciting but damages the environment and makes it difficult to find you, just in case. Take baby steps - short day hikes, overnighter trips, weekend outings, week-long backpacking, then long distance treks. Become confident - this is different than arrogant. Arrogance is an attitude of superiority while confidence is faith that you will act in the right way because you have skills. Read, ask questions, practice skills, take baby steps, know how to use your gear, and finally take longer hikes. Think through "What If" scenarios - what if the campsite is occupied, the stove breaks, the water filter breaks, my foot breaks, I lose my map or drop my compass, a bear/wolverine/cougar crosses my path or enters camp, the trail is closed, it rains for 1, 2, 3, 4 days, it snows, ... Don't waste time on farfetched scenarios, like snow in Florida on a June hike, but work your way through everything you can think of that might go wrong. Make detailed plans - trail maps, weather forecast and seasonal weather, food requirements, expected mileage, and day-to-day plans will ensure you have longer hikes well planned. Leave a travel itinerary with someone back home. Check in with a ranger station or other land manager at or near the trailhead and tell them your plans. Think each trip through in your mind - using topo maps or Google Earth, visualize how you'll be hiking along, where the steep sections are, where there's forest, meadow, sage, or rock, when you'll be on a windy, open ridge or in a sheltered woods. Get a feel for direction - at any point in time, you should be able to say, "North is that way" and be generally correct. Feeling the time of day and general direction of the sun is all it takes. Understanding where you are on your map, knowing where you want to be going, and having a feel for your direction will alert you to "something's not right" quickly if you take a wrong turn. This sense of direction is very difficult for some - if that's your case, you might be better off not going solo. Read trail journals of past hikers. Learn from their experiences and try to visualize yourself in their situations. Use a tracking or signaling device. Spot Messenger or DeLorme InReach are two electronic devices that tell folks back home where you are and allow you to send Check-In or Help messages. this is a very awesome article. last week, someone in our country died and everyone blamed solo hiking. i believe that in general, going out in the woods or anywhere else even at home is dangerous. it's proper risk management which makes one a better hiker than the other even compared with an entire team. i hope everyone gets to read about your post and i hope you could also share insights in my blog entry to help educate everyone about solo hiking. self-displacement.blogspot.com/2013/04/solo-hiking-dark-side-of-mountaineering.html thanks a bunch! Thanks for the article! Although I usually hike with friends or a group, sometimes I want to just sit for 30 minutes and watch the clouds, or take a really good close up of an unusual flower or insect. This frustrates my fellow backpackers who are trying to get mega miles behind them. So am thinking of doing some 2-3 day solo hikes. After reading "Wild," have a bit more confidence. Will look into the tracking device just to keep the hubby happy, thanks for the suggestion. I appreciate this article so much. Thanks for the great tips. I have recently started to explore and my first day long hike got me hooked. I day hike every week and it's tough to find a partner each time (most times) since I hike on weekdays mostly due to family responsibilities on the weekends. Further, the freedom and spiritual quality of my hikes exponentially increase when on my own. I've been doing this for a couple years and since I've recently moved into wolf/bear country I do find I am feeling more apprehensive. Thanks for this article, it reaffirms my resolve to keep regularly indulging in what feeds my soul. Excellent solo backpacking advice. Well stated. Agree -- when it comes to solo trekking, one size doesn't fit all. Age, fitness, experience, equipment, terrain, weather -- as you pointed out -- lots of factors come into play. And "wilderness expectations" vary. Some hope for wilderness wildlife encounters, for example, while others are more apprehensive at the prospect. As one outdoor (humorist) writer recounted, once while backpacking solo along a remote wilderness trail at dusk, he was chased several hundred yards by a blackened tree stump. (Which he mistook for a bear.) After decades of wilderness solo backpacking -- including many off-trail sojourns -- fully recognize that it carries increased risks -- but as Emerson once pointed out -- going solo (into the woods) offers the best opportunity for "solitary converse with nature." Just "be prepared" -- "hike your own hike." Think it was Thoreau who pointed out -- we sit as many risks as we run. You nailed it in: Benefits of Solo Hiking Concerns of Solo Hiking I have done it and i am doing it again. My passion is cooking while hiking and gathering food, so that plus soundbooks keeps me sane'ish. I have a solar panel and an old mp3 player so i can keep it running for weeks even in clouded weather. Love all the advice & things to be prepared. I've been trail walking with my daughter all Summer & have become addicted to the peace & joy on our long hikes. She's returning to College soon, & I'm going the hikes alone. All this great advice has given me the resolve to do so. I HAVE RECENTLY TAKEN UP HIKING IN THE SANDIA MOUNTAINS IN NEW MEXICO. I HAVE DONE 6 SOLO HIKES AND I LOVE IT AND WOULD NOT HAVE IT ANY OTHER WAY BUT TO HIKE ALONE. THANK YOU FOR ALL THE TIPS. THEY HAVE CERTAINLY COME IN HANDY. Love the article and I've found my biggest set back is the loneliness. I'm done solo hikes but done only one solo overnight. Two times I've was suppose to do an overnight but I psyched myself out and hiked out. I make the excuse oh it's too early to make camp and keep on going. Just need to get over that hump! I am a 30 year old woman and I absolutely love hiking alone. When I hike with others, I feel rushed. I feel the need to entertain or to just talk. When I am out in nature, I like to reflect. I like to think and just take everything in. I can't do that when I am hiking with someone else. I am so thankful that I have a husband who understands this. I try to get out at least once a week for a hike. It's amazing how solo hiking can increase one's confidence! There are real dangers that everyone should be aware of but for the most part, many of our fears are unwarranted. "Human attacks are a potential problem, especially for solo female hikers..." I think this rather sexist. Female solo hikers being attacked isn't as common as you think. Female solo hikers tend to be a pretty independent, adventurous, physically fit bunch and would probably be threatening even to a group of men. I would not be so quick to point out how vulnerable females are. All solo hikers face some element of risk. @MNRC - It is not sexist. It is based on statistics. I don't think it is common for ANY hikers to be attacked - it is extremely rare, but it is more common for females to be attacked than for males to be attacked. See female hiker attacked google search for some examples. Thankyou for an interesting article. I am about to start solo hiking and the information in this article alerted me to a couple of things I had seriously under considered!..... like First Aid! Thank You for this article, seriously. I am a female hiker and need some time alone, I am planning to do the TCT and everywhere I turn I hear people discouraging and threatening me with rapists and murderers. This article is treasure and it fills hikers with hope and confidence rather than fear. Thanks again Dude ! @Alicia - That sounds like a fun 37-mile trek. I'm much less concerned with running into trouble out in the wild than in a big city. @JP - The Florida Trail is typically done in January and February. Other than that, I think you'd need to look in the southern hemisphere or tropical areas. Australia has a bunch of long trails. Hi, I've been hiking alone since I was a teenager. I'm a small 5 foot 3 female and I've never run into any trouble. I've never even seen a bear. I crossed paths with a large red wolf once but he just stopped to watch me bike past, luckly he didn't feel like chasing anything lol. I've seen numerous coyotes, however they've never bothered me. I've only just now begun to take extra precautions when heading into the nearby provincial park because I have my young baby who accompanies me now. I only travel by well trafficed, paved bike paths where I know there is always a biker or jogger within earshot, and am ridiculously armed to the teeth. Bear spray and a large knife are always within easy reach and I carry a sturdy pointed walking stick. If something wants to eat us I plan to make not worth the effort. If a human is making me nervous I call someone and chat about my whereabouts. If I dont have reception I just pretend I do and have a loud phone conversation with myself lol! Thank you so much for this article!!!! I'm a 33 year old female and have been a hiker for years in the smoky mountains and have just recently decided to start hiking alone. I had my first solo hike last week at grandfather mountain and felt like I ruled the world. It was amazing. I do worry mostly ab human encounters but I carry mace and a giant knife that are easily accessible. There is just something incredibly magical ab being the only person around in nature. Glad to read the above comments about other solo female hikers!!!! I found this article very helpful. I'm currently planning to do a solo hike across the Olympic peninsula on the pacific northwest trail. I'm very good with being alone I use adiobooks to keep me company. This will be the longest hike I've done and I'm trying to keep things lightweight rather than the 50Lb packs I've usually carried in the past. I'm really excited to do this myself a and working hard at putting a detailed trip plan together. This article is great. I recently started doing some solo day hikes in the New Hampshire White Mountains after realizing that if I waited until my friends were free I'd never go! It's been incredibly liberating and empowering. I'm trying to build up my supplies to manage an overnight trip, either basecamping or backpacking. The fears abound, but I know the rewards would be worth it. Anyway, while hiking in the area I discovered that there are primitive campsites there. So when I got home I did some research and got all worried and bummed that I "shouldn't" hike alone. So, thanks again for the education and tips on how to solo-hike with confidence and safety whether you are a female or a male! A good tip for loneliness and maintaining sanity on long solo hikes is to sing for twenty minutes a day. The act of using your voice and hearing a human voice can really help. It may scare away wildlife but in the UK that's not such an issue. I would also advise keeping a journal if you are expecting to go several days without human contact. All that being said, for people of a certain temperament solo hiking is far superior. Thanks for this great article. I am a 52-year-old female in Canada and am just starting hiking. Doing day trips first, then maybe multiple days. I'm not much of a social animal and do most things alone. I've tried group hikes, but a lot of people simply cannot survive for 5 minutes without talking! LOL Which means that I can't hear the birds, or the wind in the trees, or the squirrels foraging under the dry leaves, or the whir of a dragon fly as it whizzes by. For me, going in a group defeats the purpose... I do worry about human animals (not the other kinds) but I've decided not to let it stop me. I'm too old to wait any longer to do what i want to do! Power to all you solo female hikers! Awesome article. Thank you and keep up the good work. Awesome article. Thank you so much for sharing. It made think about the "What If" scenarios - what if the campsite is occupied, the stove breaks, the water filter breaks, my foot breaks, I lose my map or drop my compass, a bear/wolverine/cougar crosses my path or enters camp, the trail is closed. Where would i find some sort of FAQ about the solo-hiking ? Great article, had many fears before I went out there on my own but had no regrets. Although duo backpacking is also something beneficial. This is helpful and timely for me. I just pulled the plug on my second attempt at a solo thru hike. I was spending the majority of each day chanting mantras or otherwise trying to distract myself from the feeling that I didn't know why I was out there because what I enjoy about backpacking is sharing it with my wife. Yes I can move much faster and be a more efficient hiker going solo, and there was some fun in that. But, mostly it just felt hollow without her. I've tortured myself over the question of whether that's wimping out on home-sickness or whether I can believe (and accept) that I just don't like going solo with my wife at home/work. I want to think that there is something 'better' or 'enlightening' or 'zen' about a long solo trip but I can't find it. All I've found is that it is a different activity, a different way of backpacking, and not one that I enjoy with my wife staying at home/work. Thank you for the article, it is really helpful! I really love hiking, usually I go with a friend of mine. Never with a large group of people because we both like being alone but we also both know that solo hiking can be dangerous for young girls (18 and 19) and also that when you spend several days alone (even the biggest introvert) you feel very lonely. There is just one thing, this year I'm taking a year off, I want to see other things, to travel and above all to figure out want I want to do when I grow up so I thought I'd go hiking in Ireland or Spain. Just one problem, my hiking friend goes to college, so I'm alone!!! Maybe there is some site or something like that to meet people to go hiking with... if anyone knows anything like that,it would be great! @Marieke - Going for a day hike with someone is a lot different than spending weeks with them on the trail or touring foreign countries. Pretty much any long distance hiker will tell you to just GO and you will meet people on the trail, some of which will work out to be companions for a few days or more. There are some sites where you can look for partners, but I don't think it's a good idea to set up a long trip with someone you don't know. Google It for more possibilities. Great advice, which I've used. I thank all the others that have shared their messages. It makes me feel good to know there are a lot more solo female hikers than I knew!I've taken many hikes with my family, but I need this alone time in quiet solitude. So, I'm going on my First solo day hike tomorrow! Heading into the Kings Canyon National Forest for a long day hike. Telling people I'm going alone has THEM all freaked out! I'm super excited myself. Got my bear repellent [black bear country], a bell for my backpack and all the other necessities. I'm directionally challenged, so I'm bringing along a GPS with new batteries. Can't wait to leave the pavement and hit the dirt! One thing that is not mentioned in this article is the fact that, if you can only hike with others, chances are you are not going to be doing much hiking. Some folks out there may be lucky enough to have friends who are ready, willing, and able to go hiking much of the time they want to go. But most people out there are either just not into hiking or too busy for such things. 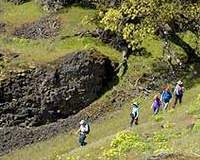 Hiking groups (such as on meetup.com and other places) are often recommended in such situations, and are a viable option for some. But if you are not into hiking with crowds of other people, being up at the crack of dawn to start hikes, and having to do only hikes others want to do, hiking groups are not such a great option. You also lose all spontaneity when hiking with groups of people - or even just a friend or two. After all, the best hikes are often unplanned. @Matt - I agree that a requirement to have a hiking partner limits your options. 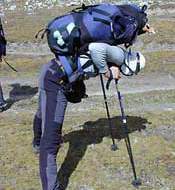 A single hiker can be more spontaneous and flexible. But, your last sentence is actually one of the biggest causes of problems for people heading into the wilds. If it were changed to "... are often spontaneous" then I'd agree, but an unplanned hike is more often an unsuccessful hike. I absolutely love hiking with people , but lately prefer hiking alone ,because now i can keep my pace and also climb places my other hiking partners will not be able to do. I totally Love l=hiking , if there is a career in this ,can someone please tell me what it is , i think i am addicted to hiking, and a Unplanned hike in my option is the best because you do not know what to expect ,but must also be safe. Thanks for writing this. I've been planning to take a 5-day solo excursion into Yosemite this Weds-Sun but the fears are starting to get louder in my head. I recently did a 3-day trip into Yosemite (Hetch Hetchy loop) and had the most incredible experience but that was in July, when water is relatively easy to come by because creeks are flowing and there's no precipitation/fog to ruin your comfort and spoil the panoramas. I'm looking at the weather forecast and it's supposed to snow 3 of the days I'll be there, so I'll need to invest a few hundred bucks on appropriate gear (tent w/ rain fly instead of my usual hammock, snow shoes, etc etc). I'm worried that the trail will become obscured, or that the lack of sunlight will detract from the emotional experience, or that the narrow and insanely steep path leading up to Yosemite Point will be iced over. I feel like I need to take advantage of the long weekend and reconvene with that beautiful place but I'm wondering if this just isn't a good time for it. Any wise words to bestow upon me? As far as unplanned hikes being 'unsuccessful', it depends on what you are after. It seems like this discussion tends to refer to long, multi-day, backpacking hikes. And I would agree that unplanned multi-day hikes DO have a greater risk of problems. But as the length of the hike decreases, so does the risk of problems resulting from sponteneity. If you are just going out for several hours to a day, FAR less planning and preparation is required. You don't need to worry about camping gear. And food can be limited to simpler snack type items rather than having to carry meals, a stove, cookware, etc. It also becomes ALOT easier to just slip out for several hours vs being out for a few days. There's nothing quite as annoying to me as a group hike with everybody babbling, but I see these kind of groups all the time. I go out in nature for solitude and to be out in nature. If anything I'll go with my wife or a dog. I like going to a bar with people, but not a hike. Thanks for the tips! I gotta get one of those location devices for emergencies because I don't like the idea of knowing exactly where I'm going and telling everyone where I'll be because that means I can't change my mind and explore other area instead. Also, it kind of rests to the feelings of isolation and independence that I'm seeking. I'm terrified of bears, they came to visit me at night once and I was petrified, I could hear them outside my tend while my mind run wild imagining the worse case scenario. My heart was pounding, they could have eaten me alive and I wouldn't have said a word... but then they left and nothing happened. I'm still terrified, but I want to overcome my fears because nothing compares to what I feel when I'm in the great outdoors. I'm sure many can relate. I'm a 22y.o. female solo hiker, my longest hike so far has been 3 weeks. Currently on a 5 day hike in Vietnam. I also do survival at home (Germany), where I don't bring water or food, so I feel confident navigating, finding water and food, doing first aid and so on. My biggest problems are actually loneliness and boredom. Sometimes (like two days ago when I made my way trough the jungle to a beautiful secluded beach) I can't really enjoy the place, because I would like to share my thoughts or just play cards with someone, etc. What helps me is reading, writing my thoughts down in my diary, listening to podcasts or music, making music and singing. If I have a phone connection (sometimes I do, but most of the times I don't) I like to chat with friends and family back home or give them a skype call if the connection is good enough. Last summer I went on a 3 day survival trip without anything to distract me (no phone, no books, no pen and paper, no cigarettes, nothing but my hammock, sleeping bag and water filter) and it was really challenging mentally. But I made it and felt strong and proud afterwards and will repeat it this summer, because it makes my "normal" hikes (i.e. with cigarettes, books, phone and so on) more enjoyable. I remind myself now of this trip and feel less bored and grateful for my books, phone, etc. then.